Aurelia Paul is a senior year student at Boston University, studying comparative literature and Chinese. In her fortnightly column, Student bookshelf, she shares responses to texts she's reading in her classes. 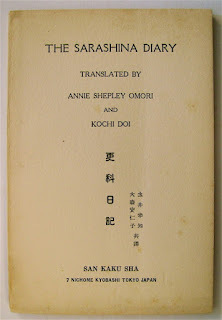 Here she discusses The Sarashina Diary, a memoir written by Lady Sarashina, the daughter of Sugawara no Takasue, a lady-in-waiting of Heian-period Japan - the Heian period was from 794 to 1185. Lady Sarashina kept a diary to mark her bold 11th-century journey from the east of Japan to the capital. She continued writing for 40 more years. Her work stands out for its descriptions of her travels and pilgrimages, and is unique in the literature of the period, as well as one of the first in the genre of travel writing. It was impossible to ignore the dreams that the Daughter of Takasue writes about in Sarashina Diary. These dreams include those of various different types of people who offer the protagonist mysterious advice. She dreams three times of monks, twice of noble women, and once of the Buddha. She also says that ‘a person’, speaks to her in three instances, and I suppose this means that either she does not recognize this person or that they are not visible for some reason. She also tells us of her sister’s dream, in which a cat speaks and says: “I am the daughter of the major counselor who has been reborn like this.” This dream has a large impact on hers and her sister's lives because afterwards they truly believe that the cat is that reincarnated daughter. In general, the protagonist's dreams seem to function as warnings, instructions, or revelations of fate. There is also an obvious religious element to the dreams, and at least once the protagonist feels the need to devote herself to religious worship after waking from a dream. Dreams can bring hope or despair, depending on the author’s judgment of their meaning. For example, in one dream, she is told that she will ‘live at the imperial palace’. This puts her in a good mood and increases her religious zeal. I was surprised at the importance that the author places on her dreams because few other authors in Heian Japan appear to have done so. The Pillow Book, a book of observations and musings recorded by Sei Shōnagon during her time as lady-in-waiting to Empress Consort Teishi during the 990s and early 1000s, is perhaps the most similar, yet there are far fewer references to dreams in that. 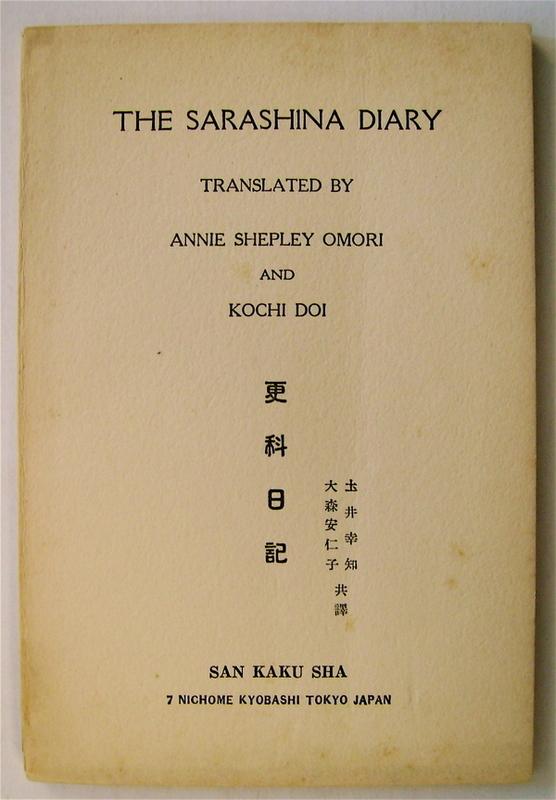 The Sarashina Diary is available in various editions, in various formats.